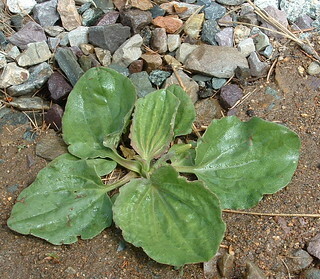 Plantain is a very useful plant that grows wild along many driveways and in lawns. While it is regarded as a weed, it has many medicinal purposes which you can read more about at eHow. Over at Mind Mart Holistic Health, they refer to Plantain as first aid growing on your lawn. They recommend Plantain is a first-choice remedy for many skin ailments with all parts of the plant, including the seeds, being edible. The herb Plantain should not confused with the big green looking bananas called Plantains. With all being said, the herb Plantain can be used effectively for bee stings, skin irritations, bleeding, laxative, diarrhea, and other digestive problems. 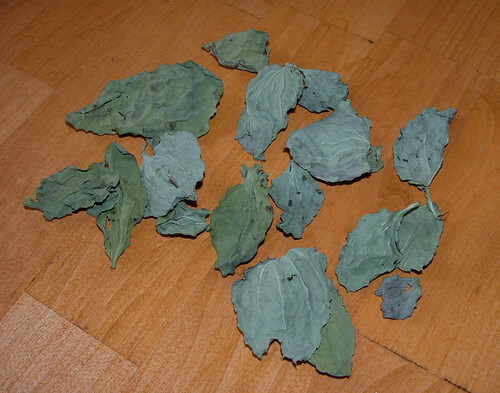 For example, you can use the leaves as a wet compress on insect stings to draw out the toxins and reduce swelling. Also you can place the moistened leaves on a wound to control bleeding and as a wound dressing. The leaves can help close a wound and slow bleeding. Because the plant also provides antibacterial, anti-inflammatory, and antiseptic properties, it really is a wonderful wild herb with many uses. I just have to share how I recently used Plantain on a wound. My husband had a cut on his finger right on a bend that just wouldn’t heal. I used a fresh Plantain leaf on the sore overnight and covered it with a band-aid. The next day the wound had closed and looked so much better. It wasn’t bleeding and the cut was nearly healed. It was just amazing so we are true believers now of using Plaintain. 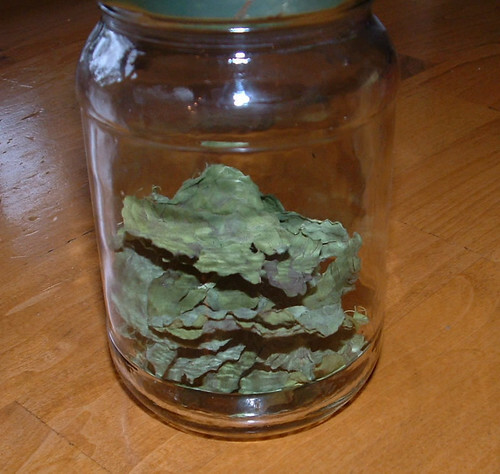 Here are some leaves I harvested from my front yard and dried on a paper towel. The dried leaves can be crushed and used by adding water to create a tea or just moistened to make a poultice that can be applied to the skin as needed. Once dried completely, I stored the plantain leaves in a jar for use in the future. While its spring and summer, I have lots of Plantain growing around the house that I can use. But it is handy to have some dried plantain on hand for winter and future use should you not have any fresh Plantain on hand.